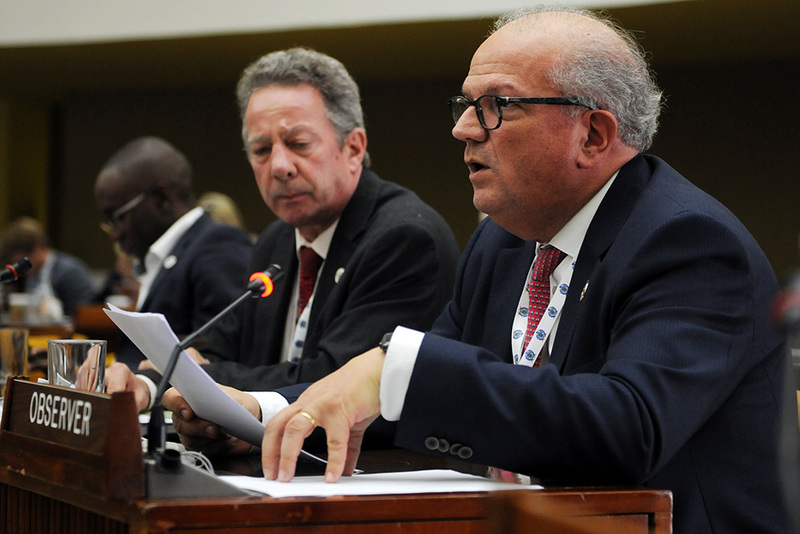 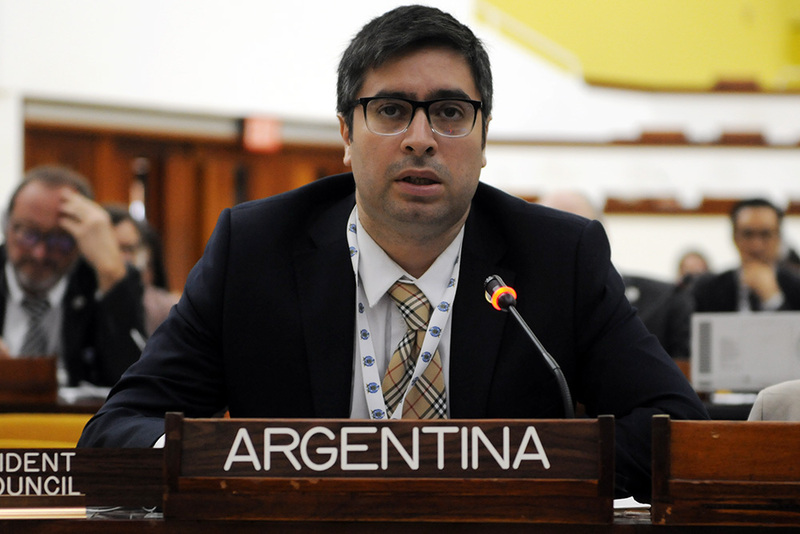 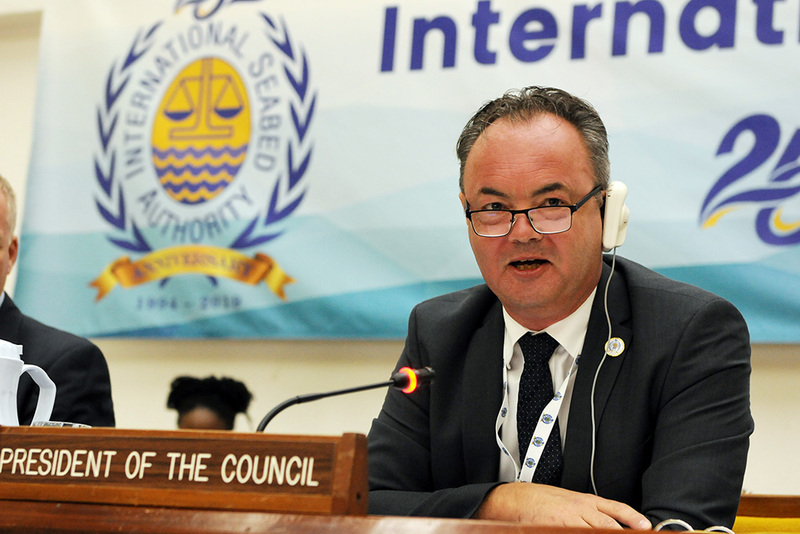 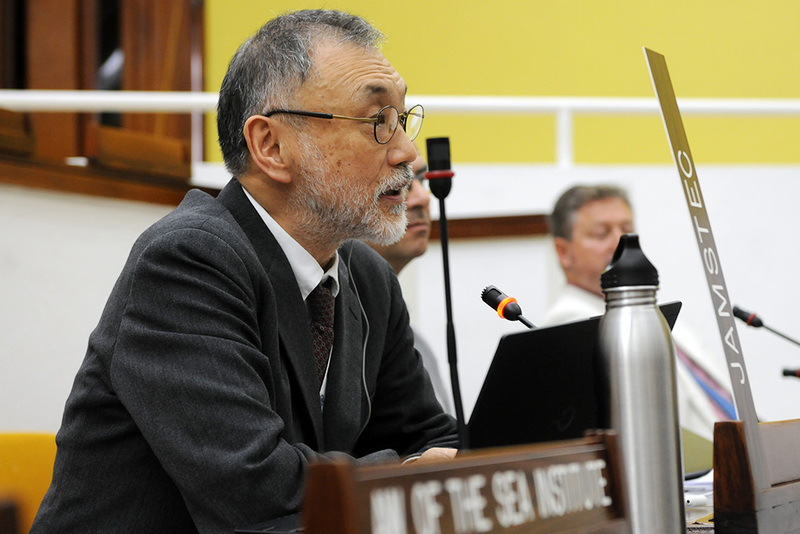 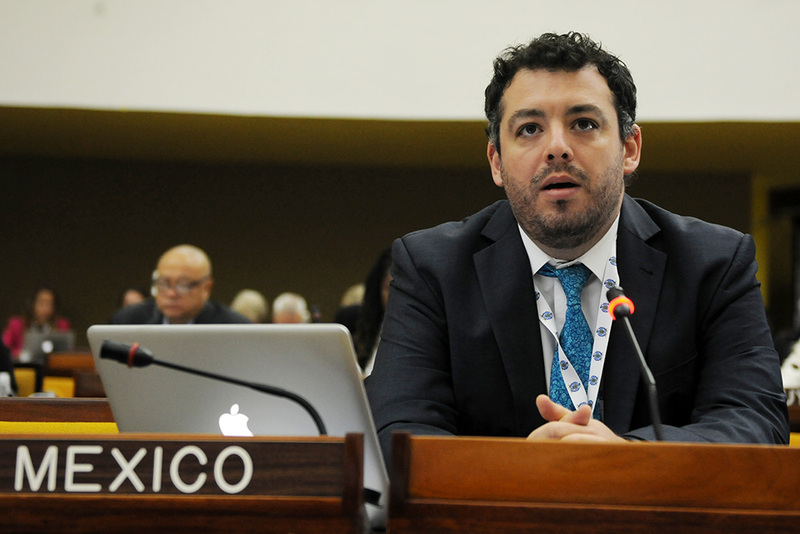 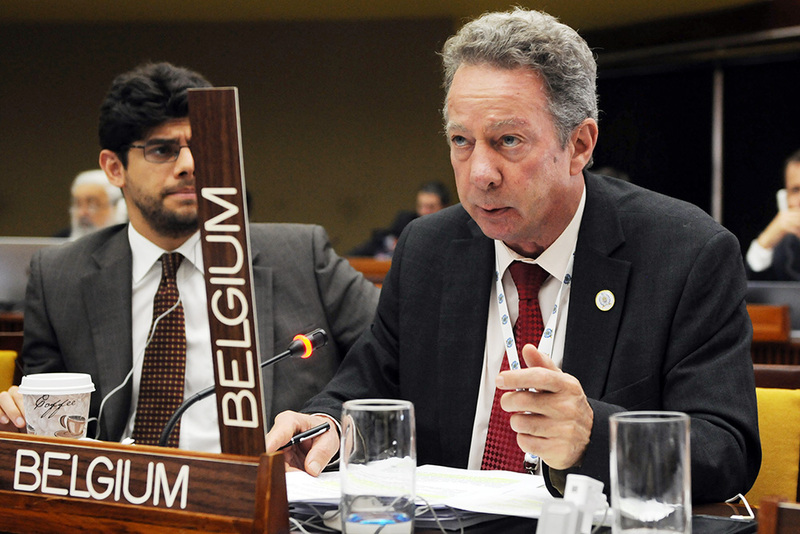 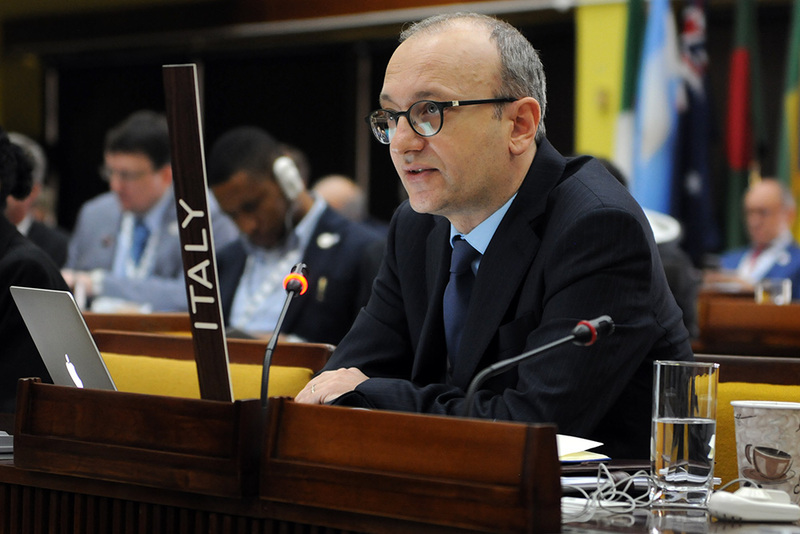 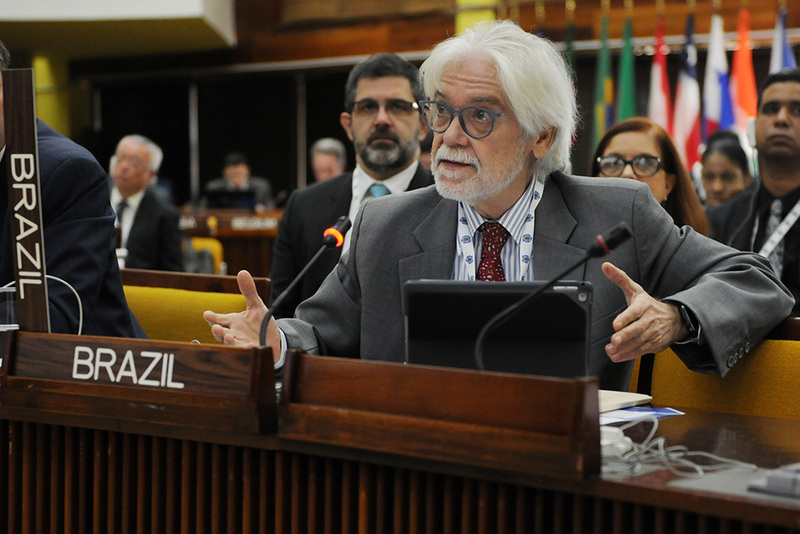 On Friday, the Council of the International Seabed Authority (ISA) addressed outstanding issues related to the Enterprise, in particular a draft decision on the extension of the term and the expansion of the mandate of the Special Representative for the Enterprise. 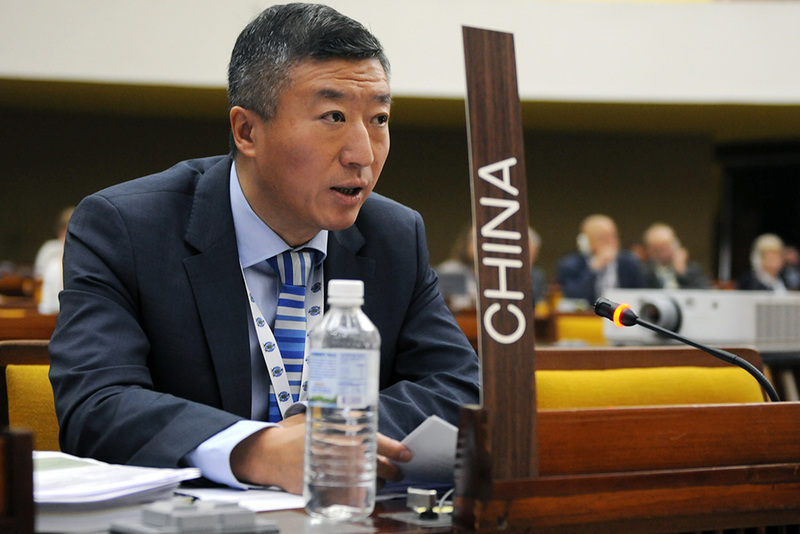 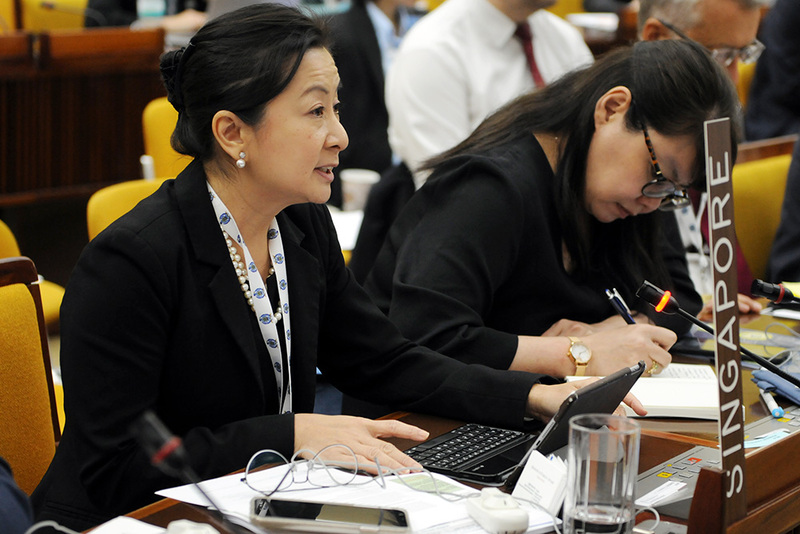 Delegates further discussed establishing a voluntary trust fund for the purpose of providing the requisite relevant funds for the Special Representative’s work. 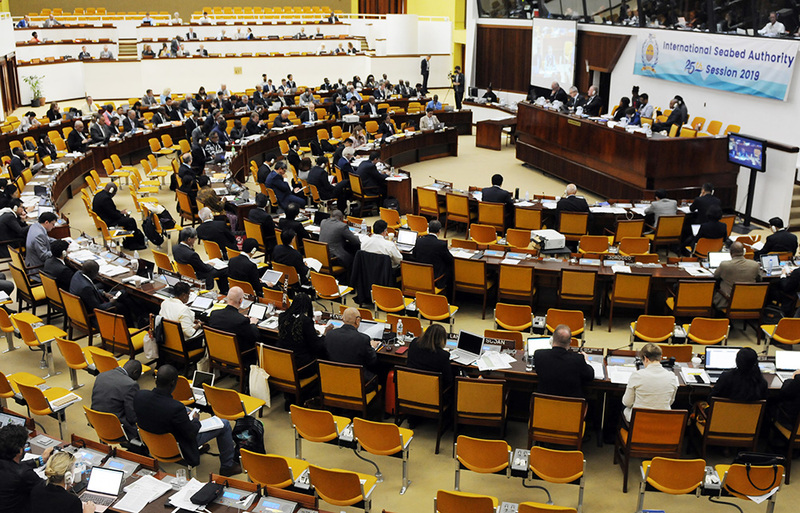 recognition that the perspective of the Enterprise should be taken into account in the development of the exploitation regulations. 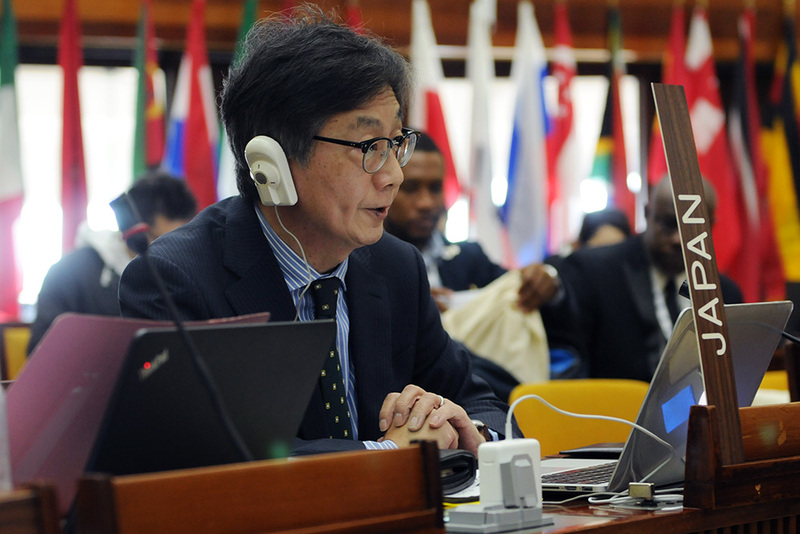 IISD Reporting Services, through its Earth Negotiations Bulletin (ENB) Meeting Coverage, provided daily web coverage and daily reports from the 1st Part of ISA-25. 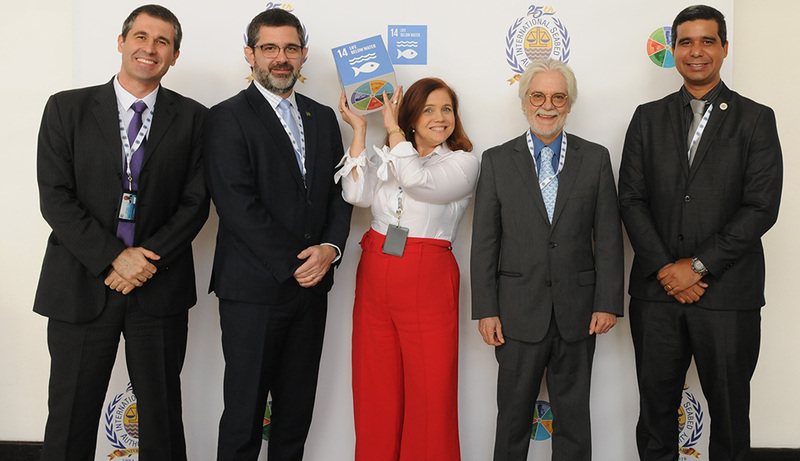 In addition, IISD Reporting Services, has published a summary and analysis report of the meeting, which is available in HTML and PDF. 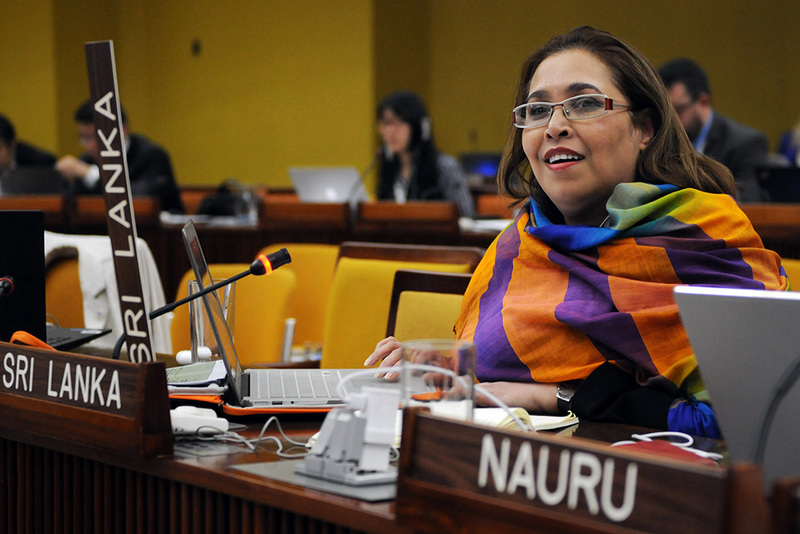 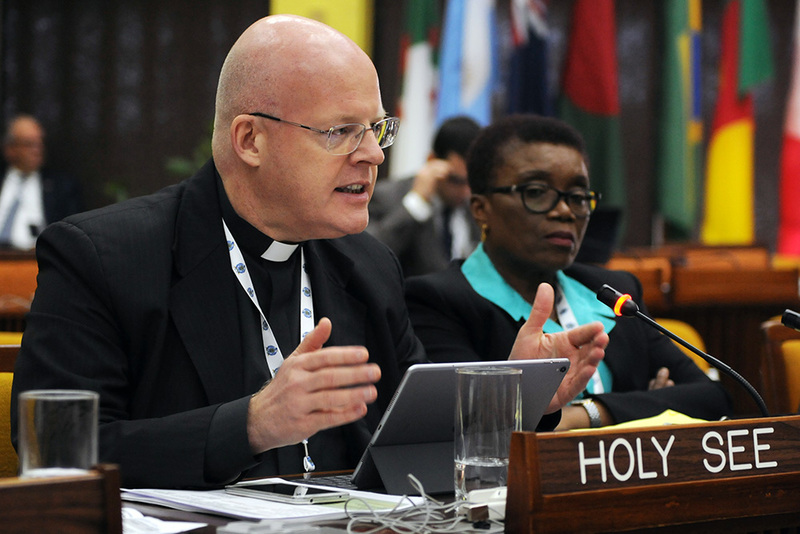 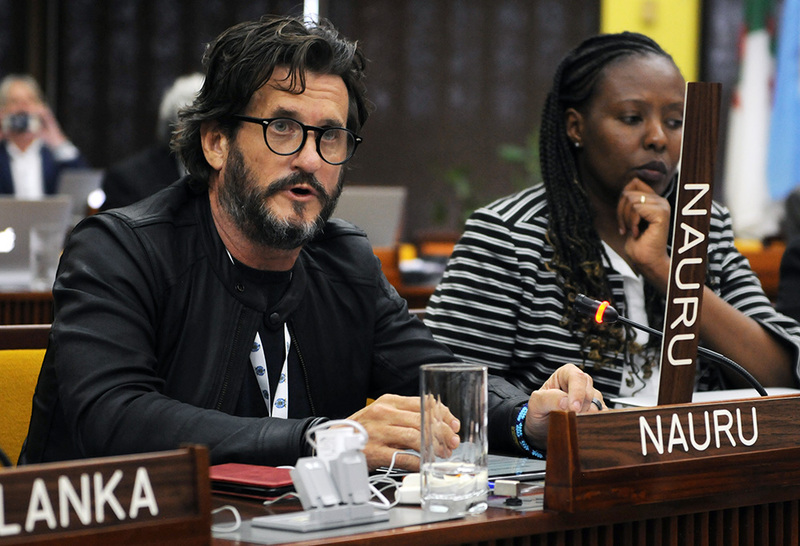 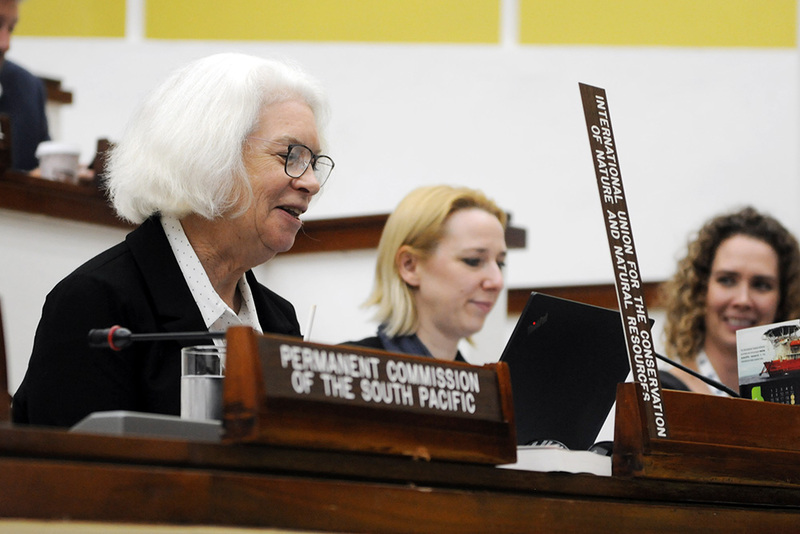 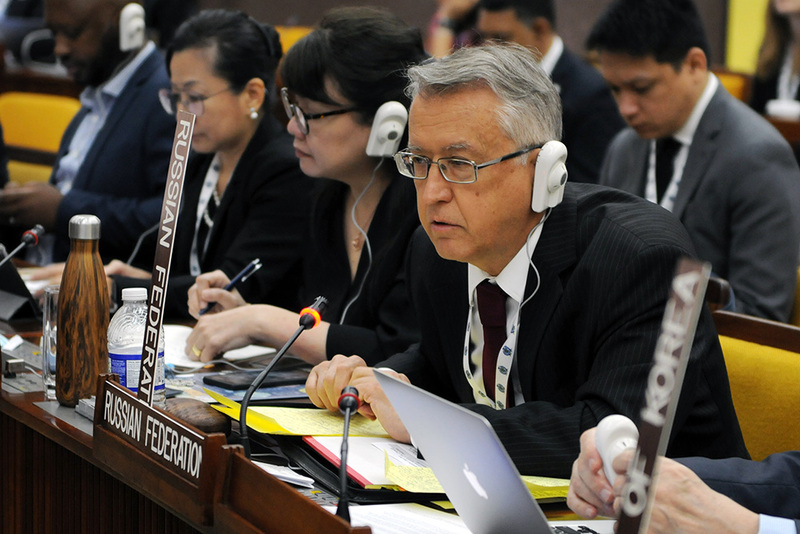 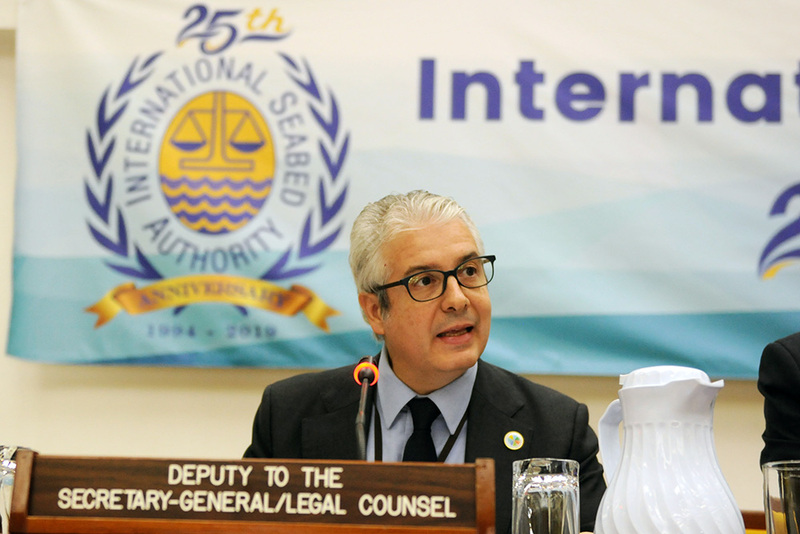 On Thursday, the Council of the International Seabed Authority (ISA) focused on issues related to the Enterprise, an organ foreseen in United Nations Convention on the Law of the Sea (UNCLOS) as ISA’s own mining arm. 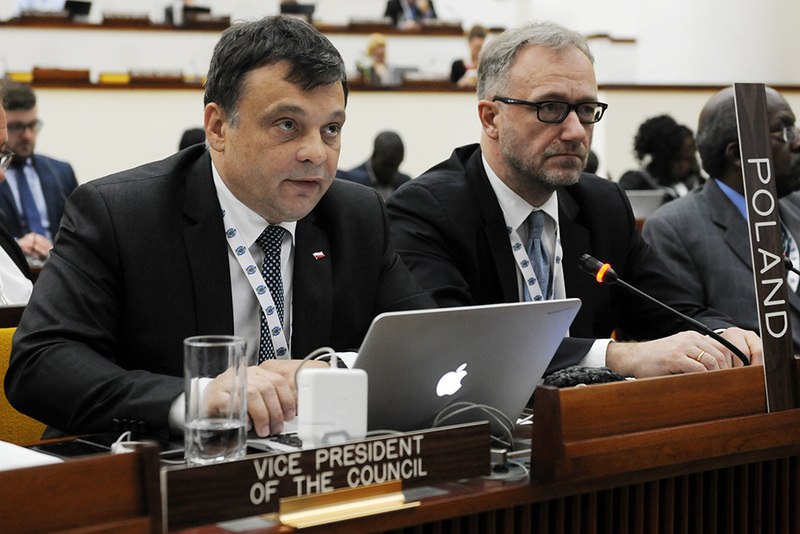 Delegates discussed the operationalization of the Enterprise, a joint venture proposal with the Government of Poland, and a draft decision on the terms of reference for the Special Representative for the Enterprise. 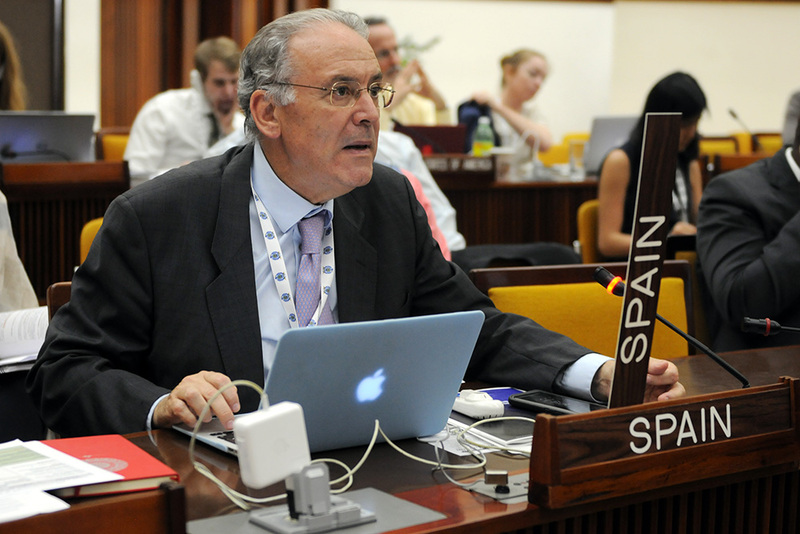 extensive negotiations on the terms of reference for the renewal of the term of the Special Representative. 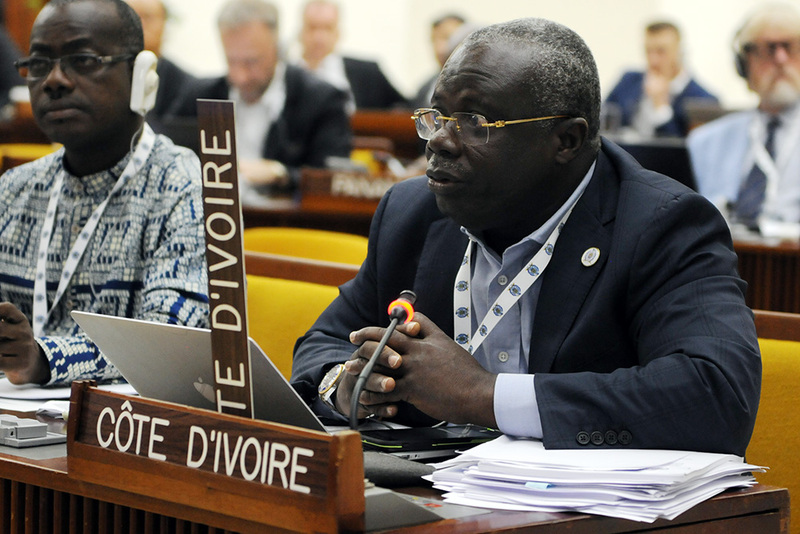 For more details on the day’s negotiations and to hear what delegates said in the corridors, see our daily Earth Negotiations Bulletin. 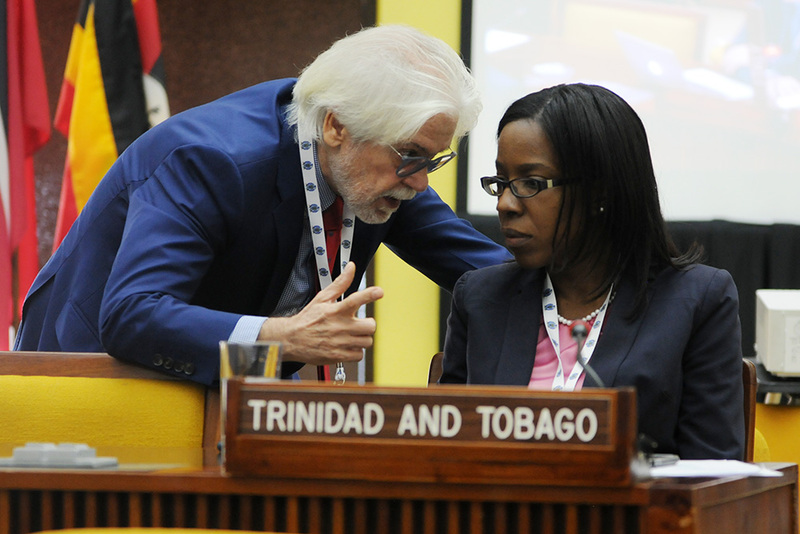 Delegates discuss the draft decision on the Special Representative for the Enterprise. 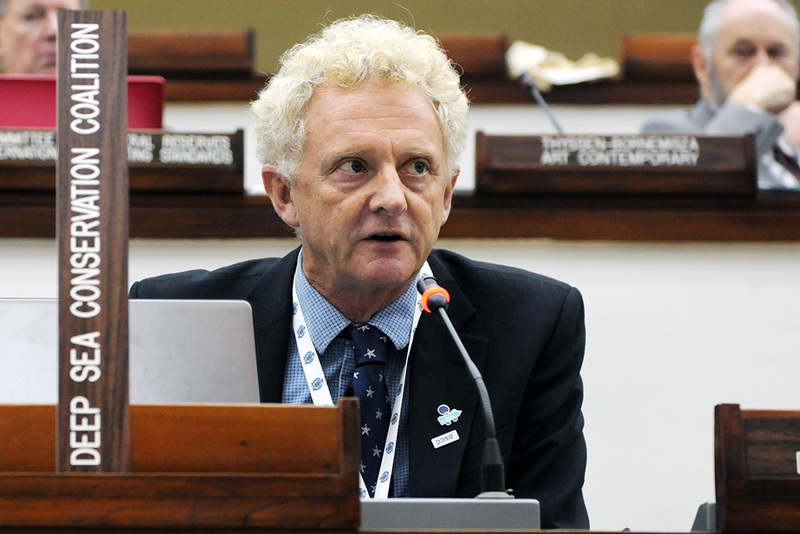 announcement of the second edition of the Secretary-General’s Award for Excellence in Deep Sea Research, accompanied by a financial reward of USD 25,000, offered by the Principality of Monaco. 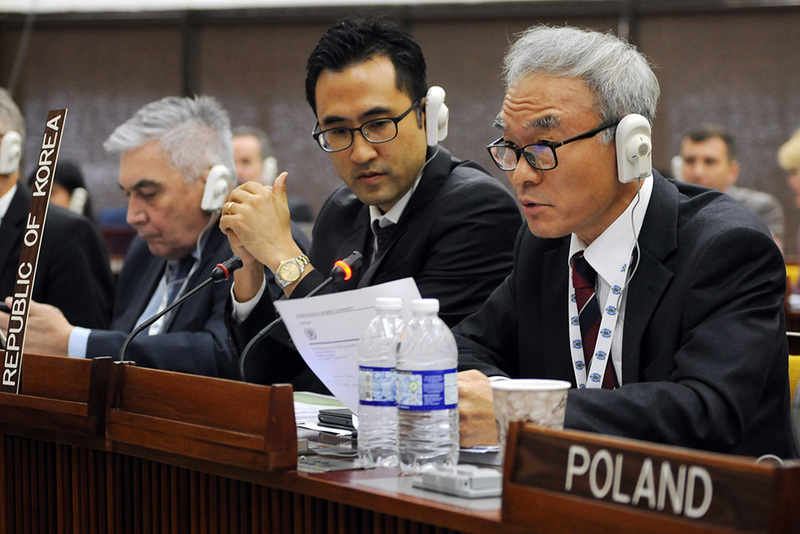 Two side events took place during the day. 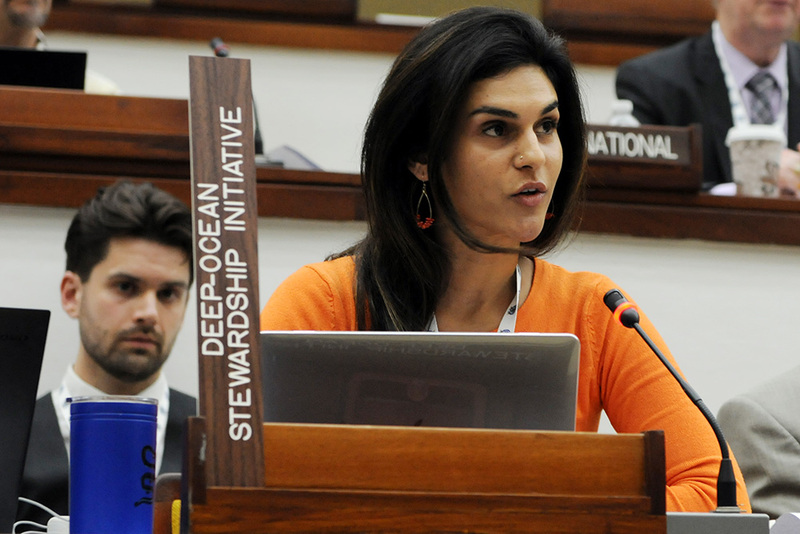 At lunchtime, Pew Charitable Trusts held an event on new data and insights from the Clarion-Clipperton Zone; during the afternoon, the Deep Sea Conservation Coalition organized a discussion on the role and purpose of environmental impact assessments. 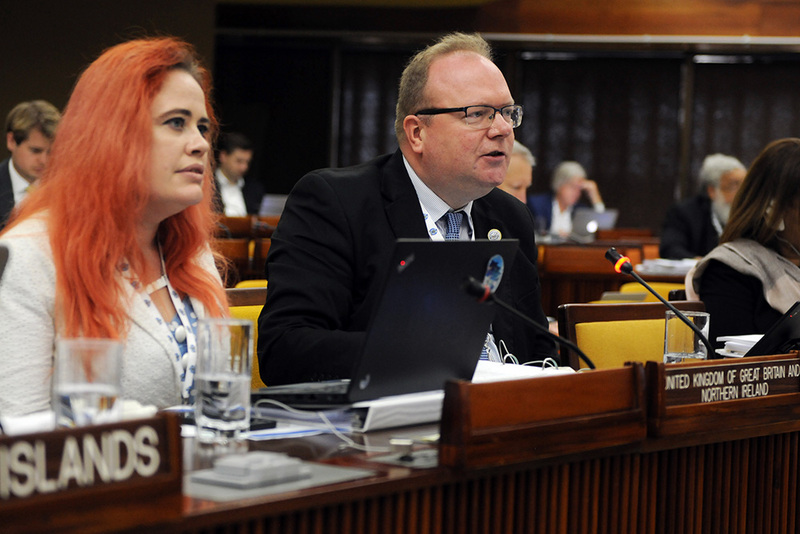 For extensive details on the day’s negotiations and to hear what delegates said in the corridors, see our daily Earth Negotiations Bulletin. 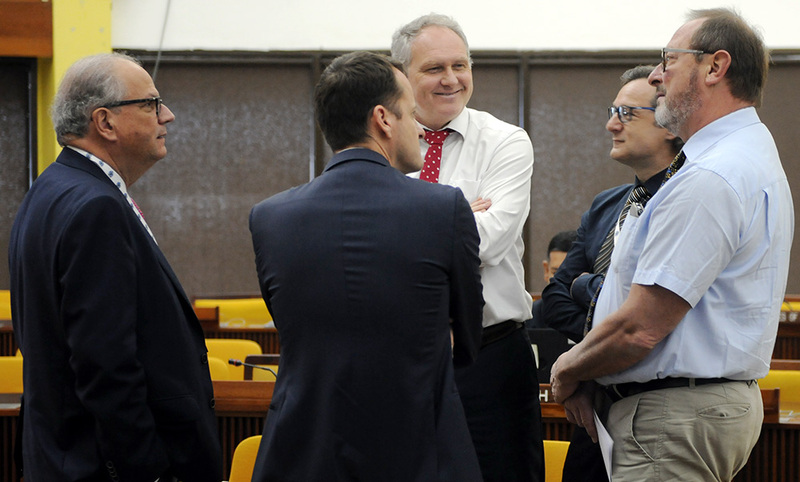 implementation of the precautionary approach to activities in the Area. 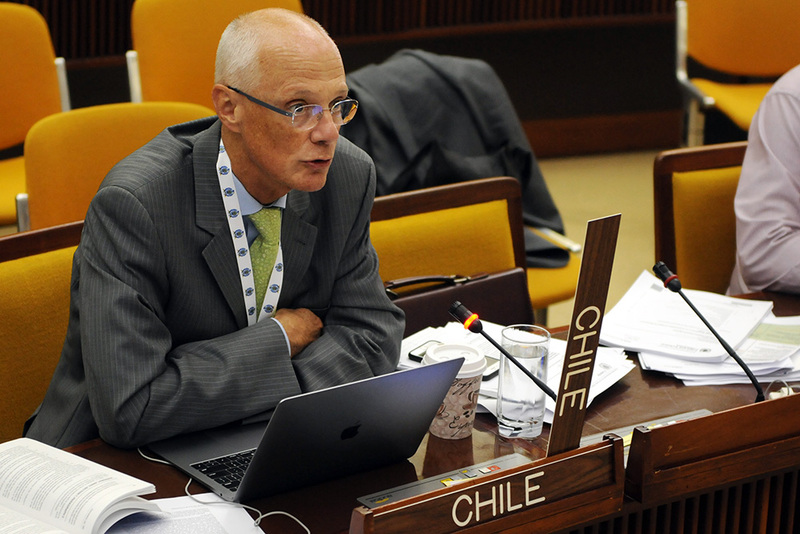 agreement on the importance of implementing the precautionary approach/principle to activities in the Area, but ongoing debate about which terminology to use. 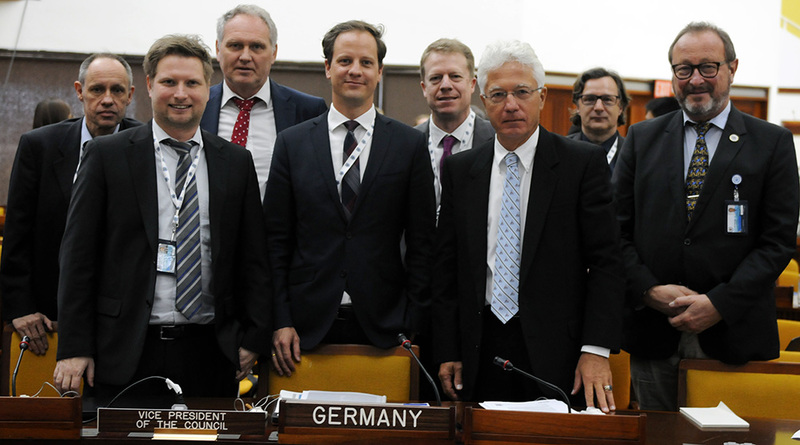 During lunchtime, a side event organized by the Institute for Advanced Sustainability Studies in Potsdam, and the German Environment Agency (Umweltbundesamt), focused on developing a benefit-sharing mechanism appropriate for the common heritage of mankind. 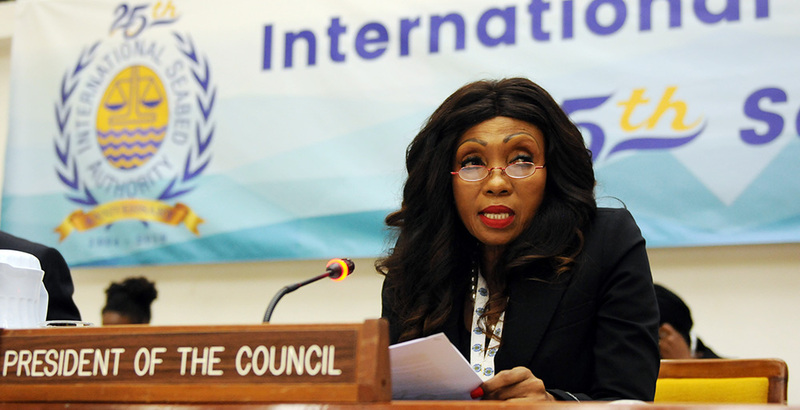 Lumka Yengeni, South Africa, is congratulated by Olav Myklebust for her election as the ISA Council President for 2019. 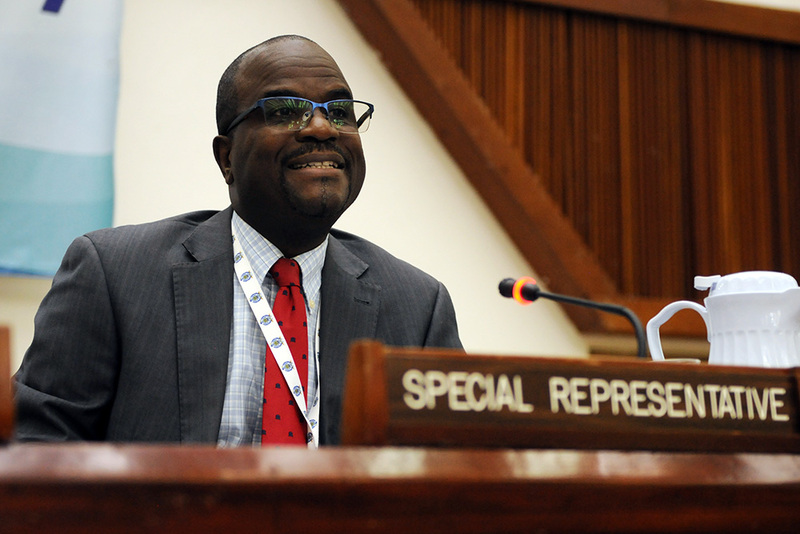 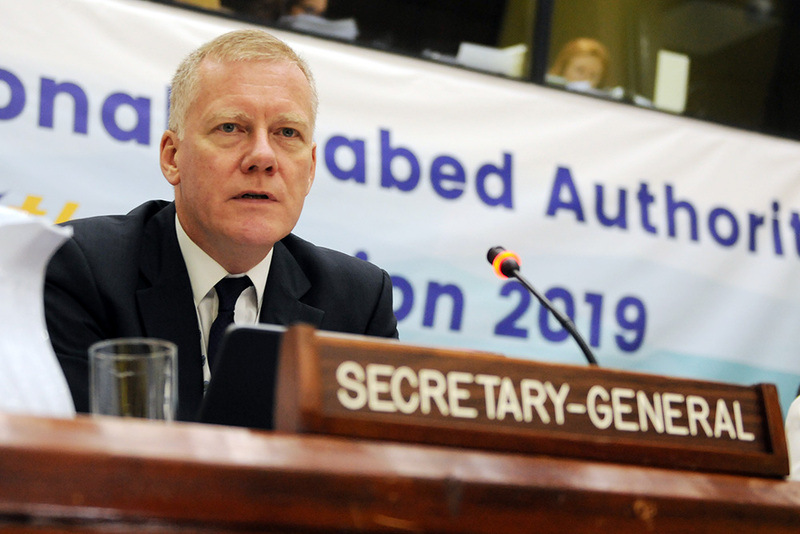 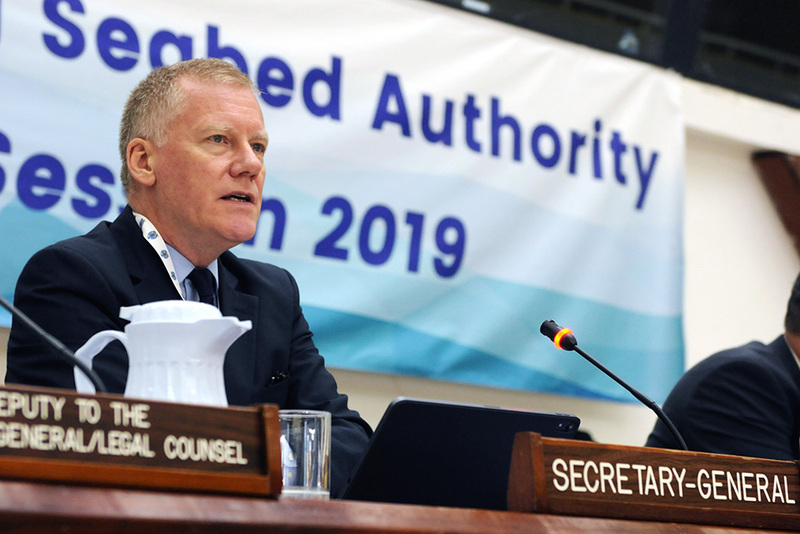 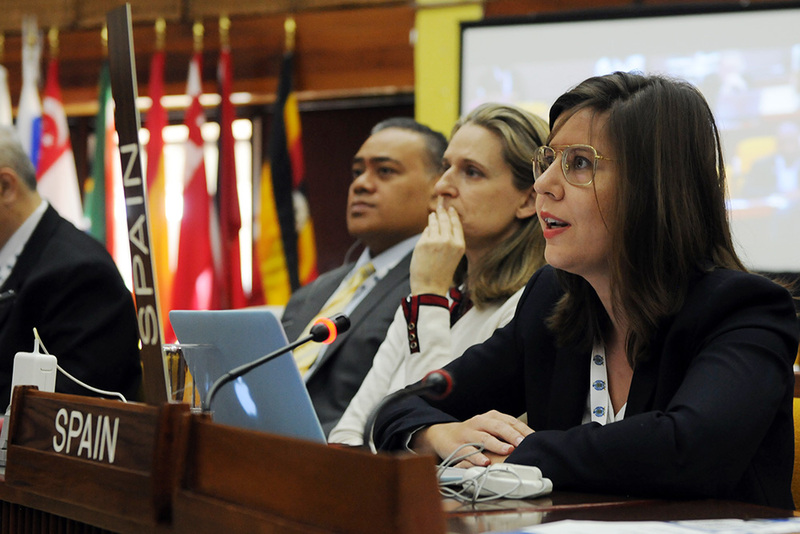 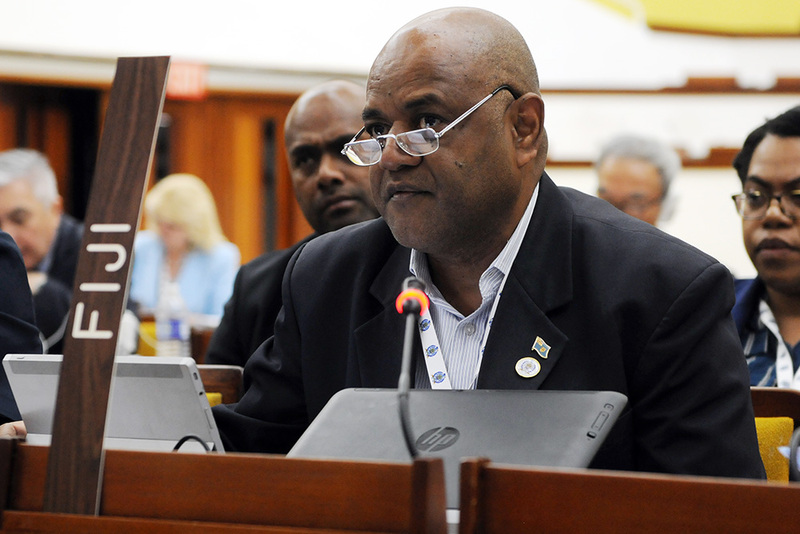 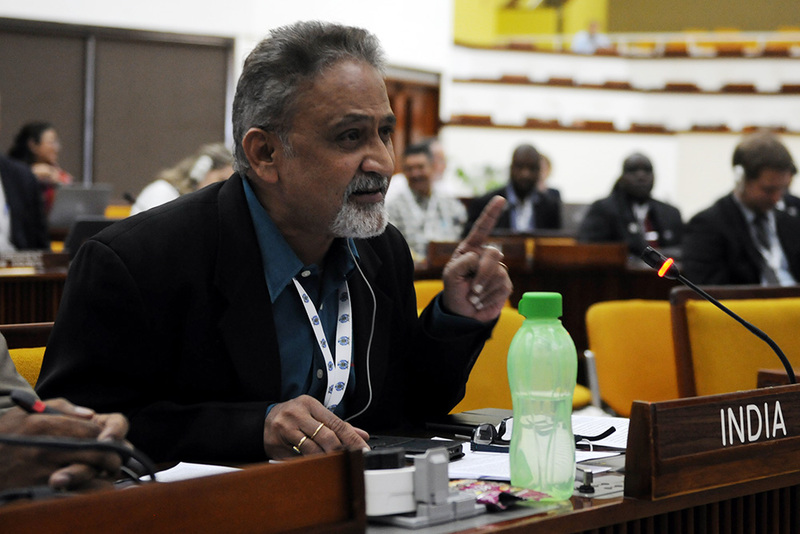 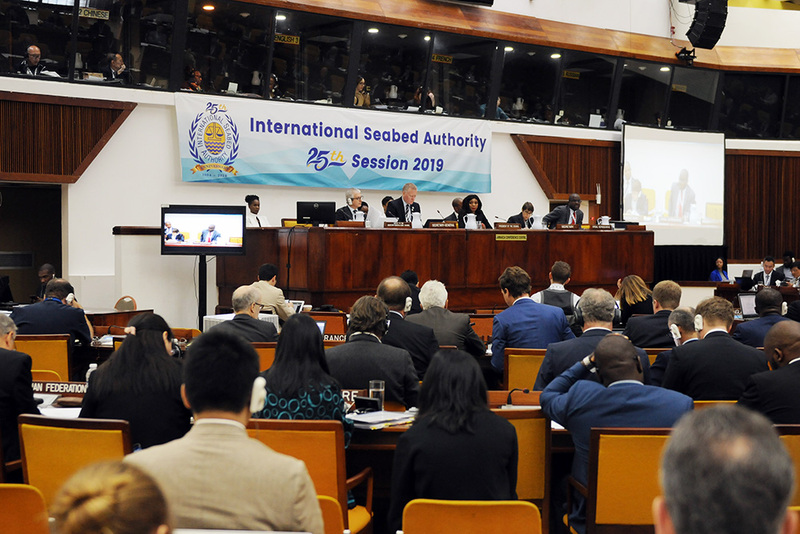 On Monday, the Council of the International Seabed Authority (ISA) opened for the first part of the 25th annual session in Kingston, Jamaica. 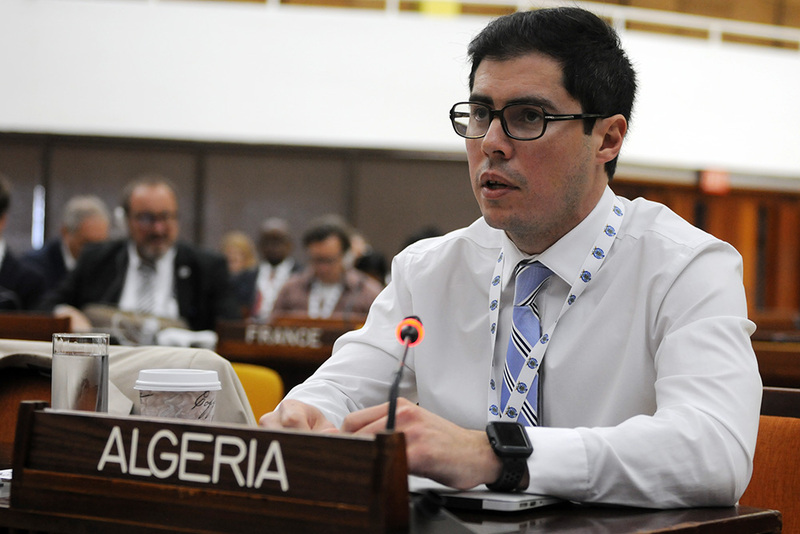 The Council elected its President and Vice-Presidents for 2019, addressed organizational matters, and heard reports on the status of exploration contracts, the implementation of the 2018 Council decision relating to the summary report of the Legal and Technical Commission (LTC) Chair and a strategy for the development of regional environmental management plans for the Area. 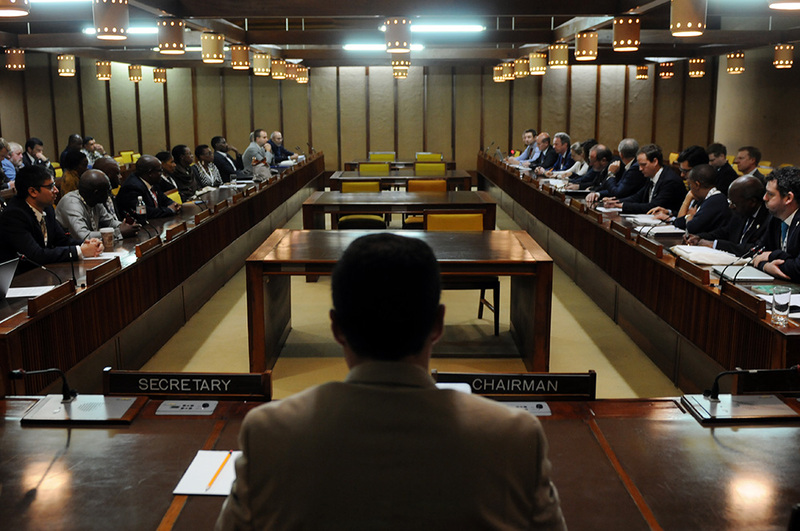 The Council also considered components of the draft regulations for exploitation of mineral resources in the Area, focusing on the financial model, as well as on standards, guidelines, and key terms. 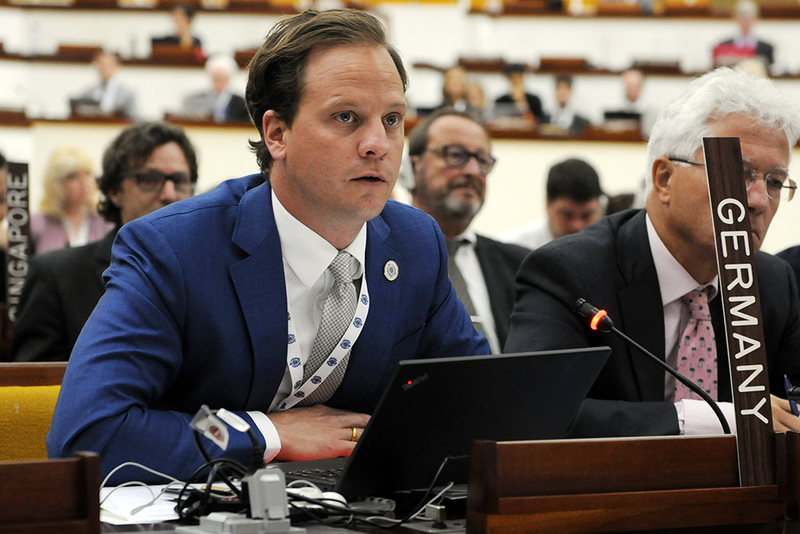 the need to prioritize certain guidelines and balance certainty for industry against flexibility to keep pace with expanding knowledge. 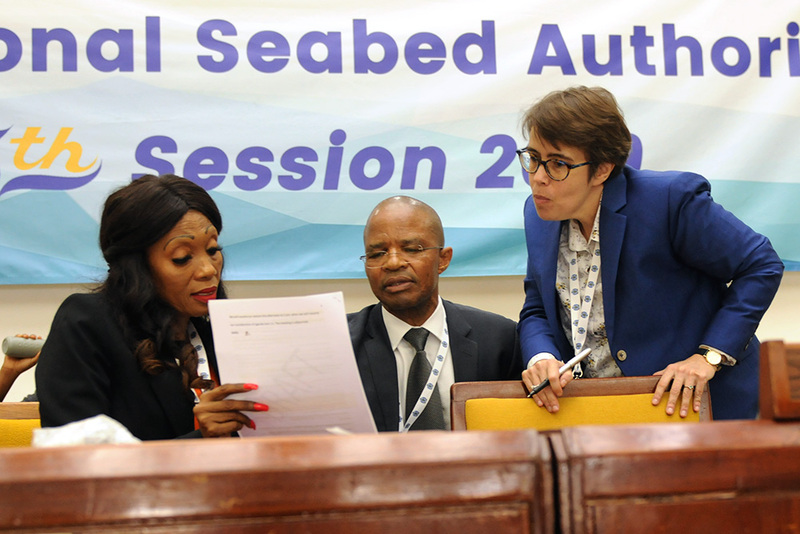 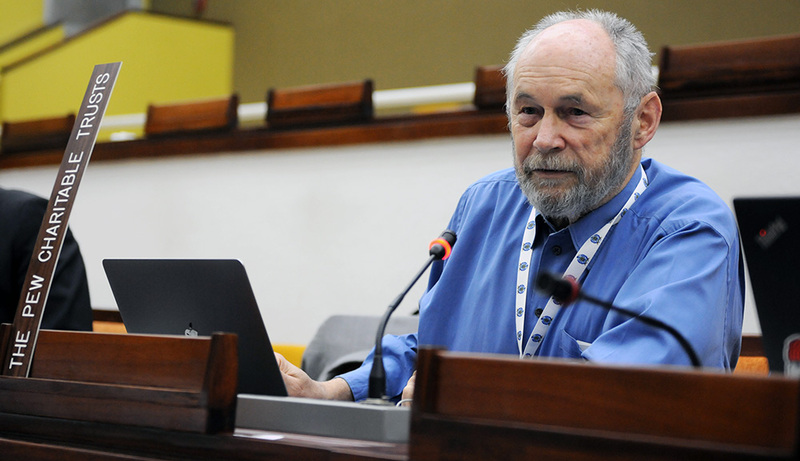 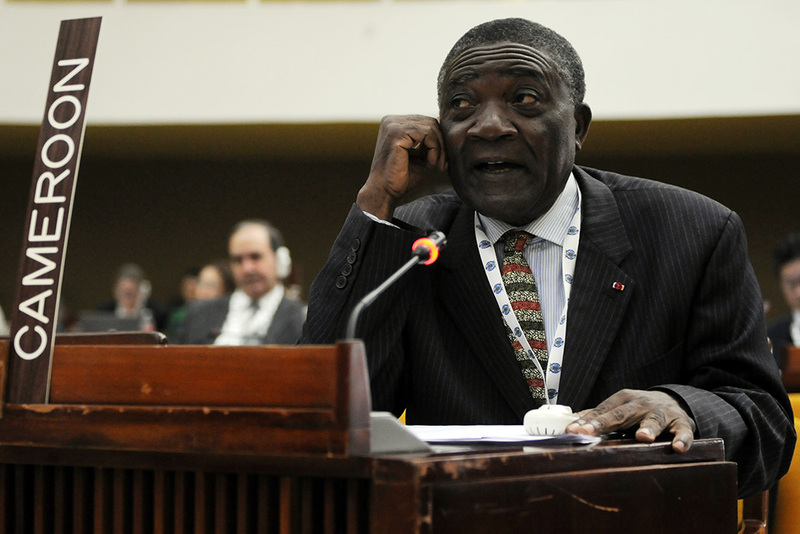 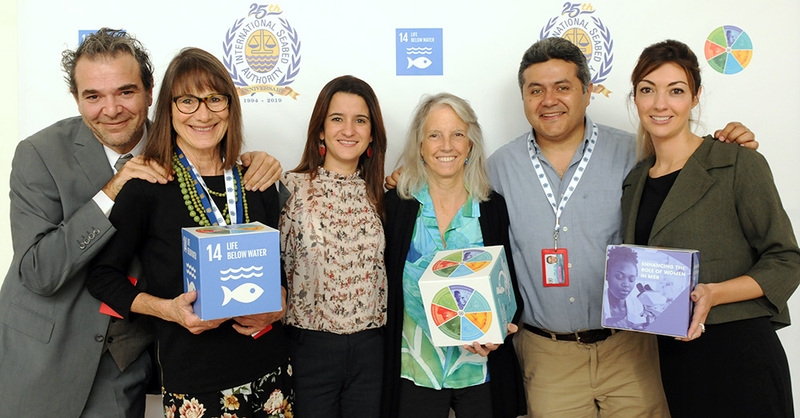 Two side events took place during the day, organized by the International Union for Conservation of Nature (IUCN) and the Deep-Ocean Stewardship Initiative (DOSI).